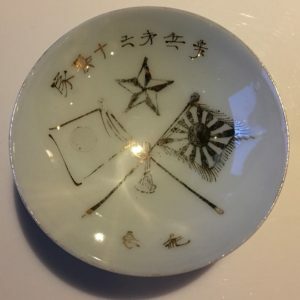 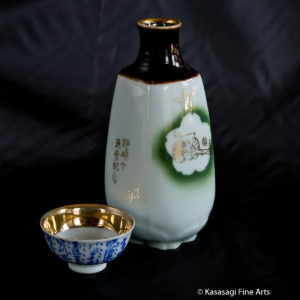 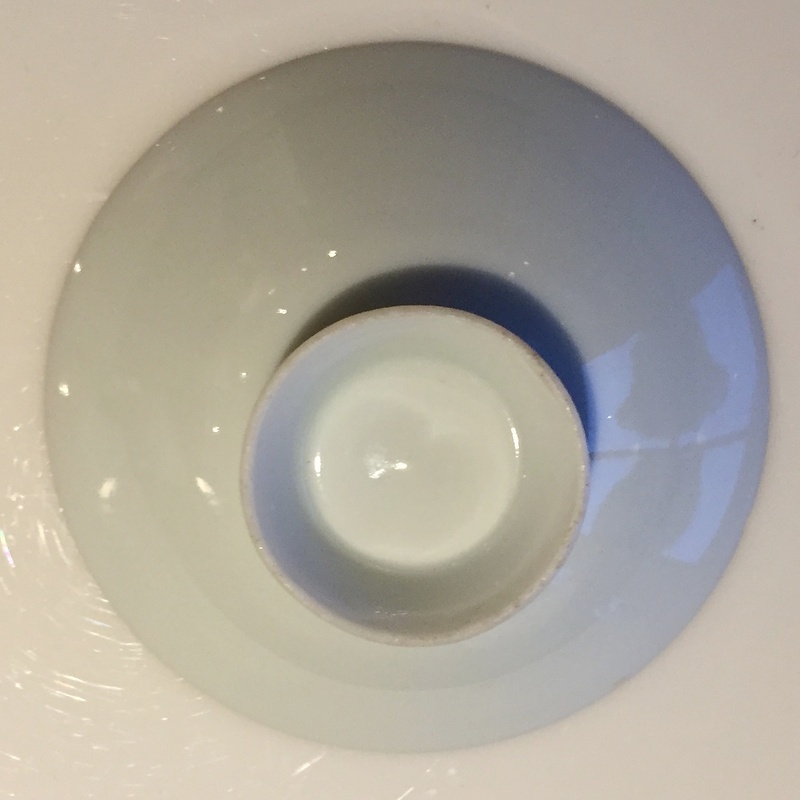 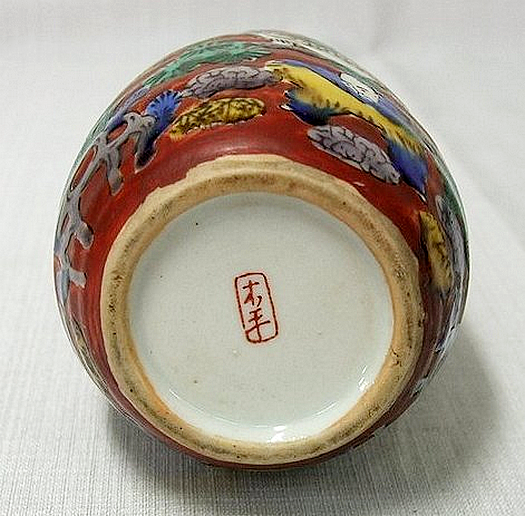 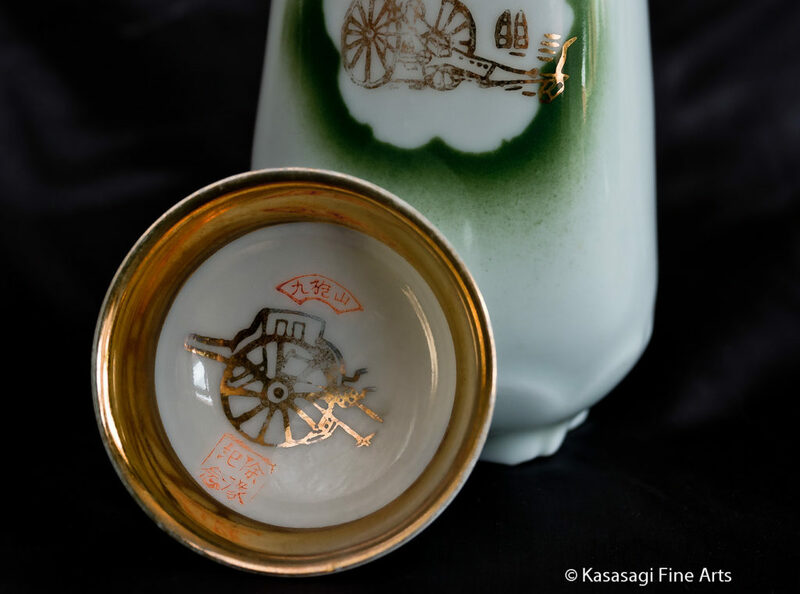 A bone china pre World War II Japanese sake cup hand painted and in good condition with no chips or cracks. 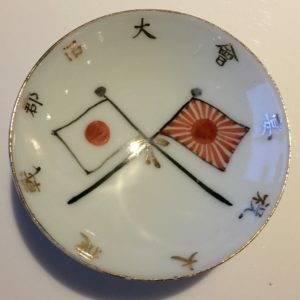 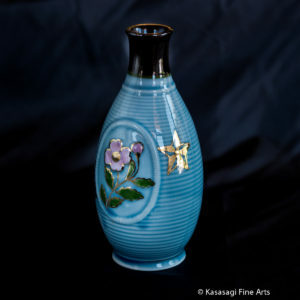 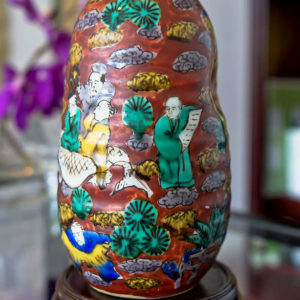 Hand painted in gold pigment are the rising sun flag as well as the Imperial Japanese flag. 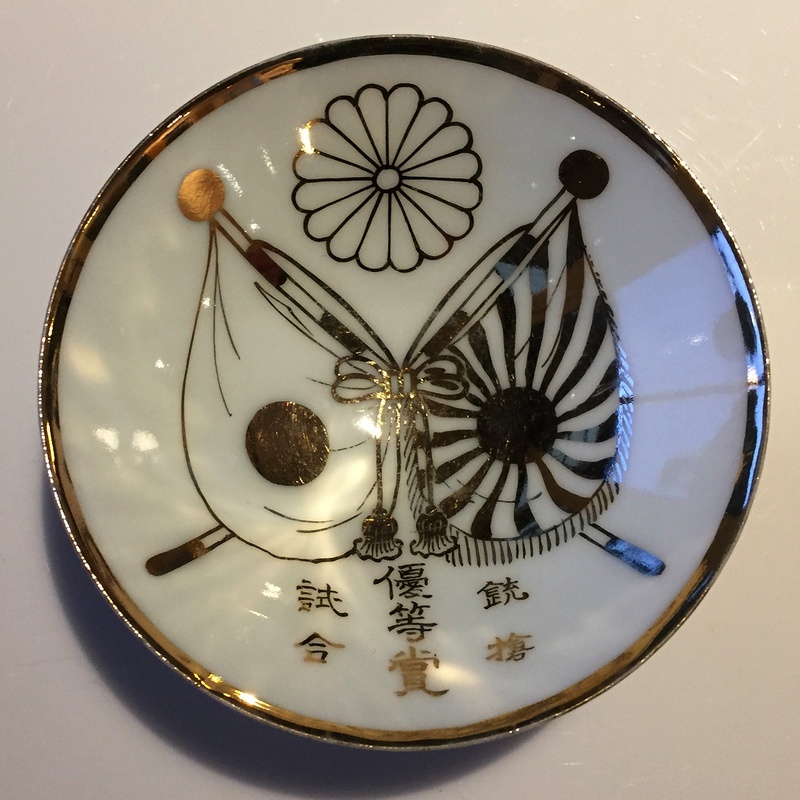 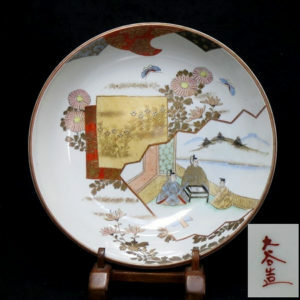 Also hand painted in gold pigment is a 16 petal chrysanthemum or kiku and gold rim. 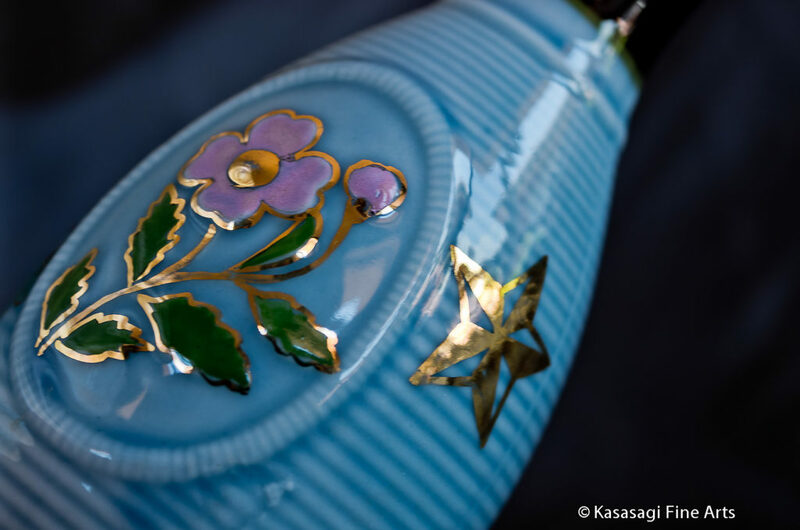 The 16 petal chrysanthemum is the Imperial Seal of Japan. 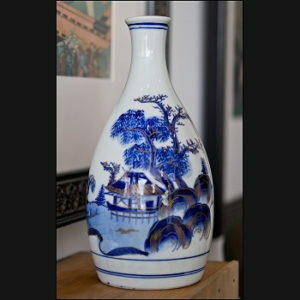 Shipping is via Australia Post and is approximately 8 business days with tracking.